As you look back now, how important do you feel that the preK process was in your child’s development? Was private PreK worth the money? Do they really learn much in PreK? Or is learning to be in a school setting the most important lesson they’re learning at ages 3-4. I’m not even fully sure what’s going on with PreK in CPS right now. Very quietly this past year it was announced that more placed (such as charter schools, churches, etc) could apply to host PreSchool for All. And I believe that existing CPS programs may have had to re-apply to host them. Christine Whitley http://christinewhitley.com/ who does consulting to help families determine their school options has asked me a few times, “How come nobody is talking about the PreK thing right now?” Good question — I guess becuase there hasn’t been any announcement yet saying that something will definitely change? So for new parents here (and my hairdresser in particular) what would you recommend as you look back on PreK and its role in your child’s education? All I could come up with is that you need to tour a range of schools so you can see what’s out there and wait for a place/philosophy/vibe to kind of resonate with you, where you feel like it’s the right place for your child. I remember feeling like the Montessori preK we chose was going to make a major impact on my son. And now I’d kind of like that $18K back for his college fund…. But maybe it helped him get into the gifted program he tested into. Maybe a more play-based PreK wouldn’t have done that. Entry filed under: Pre-School. Tags: chicago preschool, CPS preschool, CPS tuition-based preschool, preschool for all, tbpk. Don’t forget CPS’s tuition based pre-K. When you consider that it includes before & after school care (Newberry operates 7:30 – 5:30), it’s a relative bargain at $11k. Both of my kids loved the program at Newberry. It was the right combination if play based (before & after school) and age-appropriate classroom style learning and exploration. As with any educational experience, the biggest impact will be made by the teachers. You need to check out the people as well as the program. Many of the popular, growing programs like McPherson and Prescott are all stuck in the new “Ready to Learn”, Preschool for All purgatory/limbo wherein the school closings and funding debacle are impacting their renewal for this Fall. I do think SOME preschool is good for kids, but I also think for those who have the option, a ramping up to a “fuller” school day is better than jumping in whole hog right at 2 years old (or nowadays, even younger!) That’s a LOT of schooling for a wee one. But with how accelerated kindergartens are nowadays and how voracious some kids are for learning new things, it was virtually impossible to ignore the need to find SOME kind of program before Kindergarten. I can say from our experience with 2 kids- now 8 and 4- that there is no cookie cutter answer. Each child has different needs and each family has different requirements. For us- we would have needed full day child care anyway- So why not spend that $$ putting them in an environment where they could thrive and learn things we felt a nanny would not have been able to bring to the table. (Socialization for starters) We did Montessori for one- and the other is now in TBPK- both excellent options depending on the child. Agree it is important to find a teacher and environment that fits with your own unique dynamics though. I do feel that Pre-School opened our eyes to issues our child had that we were able to address (Speech therapy, learning differences, etc) and would not have likely been brought to our attention otherwise. But the teacher is the one that made the difference in both cases. Good luck to everyone in whatever decision they choose! CPSO- Funny, I was just talking about this with a friend who has a newborn. I’m so obsessed with the coming high school question that I was like…pre-k? Why are you even thinking about that? I’d forgotten that pre-k was something I too had worried about. Seems strange to me now. Yeah, we did private pre-k. When our oldest child was that age, CPS pre-k wasn’t even a thing yet. 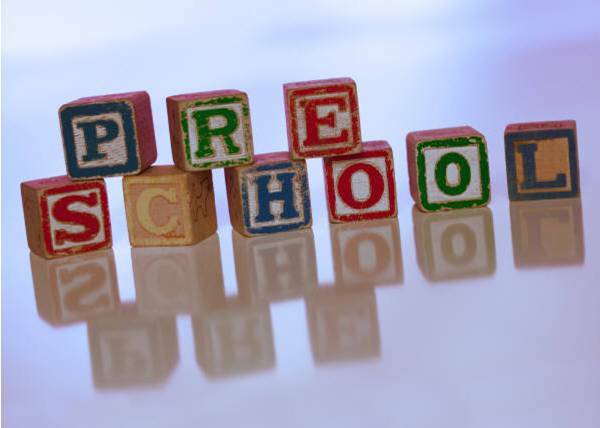 There were some new pre-k for all programs, but most were head start. I think I really wanted the older one in pre-k so that I could have some one on one time with our newborn. Not because I thought it was so important academically. We did two different privates and spent an absurd amount if money. And, for that child, I don’t think it was really worth it at all. He was basically already reading on his own and had good social skills for his age. Same situation as you…Montessori and I would really like my money back ;). Not to disparage Montessori at all, it just wasn’t the right choice for that kid. Now, for our youngest, I think he really benefitted from pre-k. And yes we chose private again (not montessori), although he did get into 2 cps pre-ks. Mostly because he was late to potty train, we couldn’t do CPS. He was also very shy and needed the socialization. Again, we spent a ridiculous amount if money. But I also think that the small amounts of testing at his school (braken) may have helped him get into an RGC. Not because they pushed academics, it was just that the practice helped him to be comfortable in that type of situation. So, if I had to do it over again. I wouldn’t have sent my oldest, but would have sent my youngest. Just like elementary and high school, it depends on the kid and the family situation. Not everyone really has a choice. If you’ve got a two income family, well, they gotta go somewhere, right? But, in hindsight, it doesn’t need to cost a crazy amount of money. It doesn’t need to be the Harvard of pre-ks. Of course, we are a family that reads to our kids, has a lot of books in the house, etc. Our kids were going to be fine either way. My 4-year-old did a park district preschool program three days a week from 10-1 last year when he was 3. It was play-based, with a short lesson/worksheet each day on a letter/number/shape/color/matching, etc. It was perfect for letting him learn to separate from me (not easy for him) and get used to a classroom setting. We paid an extremely reasonable $300 for the school year, although this varies by park district. This year, he and his 3-year-old brother are both in a CPS half-day preschool for all program at our neighborhood school. Educationally, it is definitely a step up from park district (and free, to boot.) Instead of just letters and numbers, they also have units on topics such as “five senses” or “my family” or currently “wind and water.” We (and they) couldn’t be happier. We personally don’t have the $$$ to afford private or parochial programs so we didn’t look into those. The YMCA was another possibility for us, we have friends that were happy with their programs. As far as CPS testing goes, I have a friend whose kid went to Black Bear and tested into a Classical program. I also have a friend who’s kid was in the park district program for two years and tested into an RCG (from tier 4, no less). I think maybe private school could help with the Classical test, but I think the RGC is more good genes and a culture of learning in the home. I didn’t bother with expensive Pre-k because …I just couldn’t afford it! But, I did find a fantastic home daycare provider who taught my daughter to read before her 3rd birthday. When I finally enrolled her in an official Pre-k program, she was well ahead of other kids in her class, including those who paid an arm and a leg. So, I recommend finding what is right for your child and your family. It doesn’t have to give you sticker shock to educate your children ( my kindergardener reads at a 2nd grade level and now attends a Classical school where she tested very well). What a timely discussion,as just a few days ago I. Questioned my decision to homeschool my 3 yr old twins.I felt that prek was not going to prepare them well enough for K,esp an RGC.Prek seems to play based and doesn’t help them develop enough cognitive skills.My oldest was homeschooled also and got into an RGC.Parents are the most effective teachers I believe.Prek is over rated.My neighbors son goes to Lab prek,spends a fortune,and is asking me,of all people,for tips on helping him get into an RGC.So, in my opinion,its more of a way for working parents to have childcare, its not to learn . As to what’s going on with CPS preschool, they are changing how it runs next year. I have one son who (hopefully) will be returning to our CPS preschool next year, so I’m waiting to see how things shake out. It has been that each CPS school decided on its own whether or not to offer full or half-day preschool, or tuition based. Each ran its own admissions and the curriculums were pretty autonomous. This fall, CPS made schools (including charters) apply to be hosts for next year’s programs. Schools will be notified at the end of March whether or not they have been chosen. I have no idea whether or not this will lead to centralized applications or if schools will continue to handle that end of it. I have heard rumors that schools without a high low-income percentage (including mine) may no longer be free, but change to tuition-based, if they get a program at all. I will be very disappointed if my son has to find a new preschool next year, as he loves his teachers and I do believe he is getting close to a private-school level education for free right now. I also really like that he is already a part of our school’s community, as I think it will make the eventual transition to 7-hour K much easier. I am absolutely willing to pay something to be able to continue attending. (We are certainly not low income by CPS standards.) Our struggle is that while we can likely afford to pay $1-2K for preschool, there are very few options at that price point. We are “too rich” for Pre-K for all and “not rich enough” for Black Bear, Chalk, Montessori, Catholic). Also, because we work nights, and pay for childcare then, it makes it difficult for us to also pay for Pre-K tuition. If the Pre-K was also serving as child care for us, it’d be easier to afford. In short, Pre-K is kind of like the rest of CPS… too few options for the many families that need to be served. @6, I was initially a little concerned about the play-based NO WORKSHEETS! philosophy in the pre-K for all program. Not that I want my 3-year-old slaving over worksheets for hours, but my son really enjoyed bringing one home from his previous park district pre-K program and tracing and writing a few letters each day, or coloring shapes. I loved that kind of thing at an early age as a kid, too. But at least at our play-based Pre-K this year, they do a good job of doing lessons without worksheets. They do a lot of small groups when they work on letter sounds, basic math, sorting. My son has been walking around the house for weeks singing (to the tune of “Who Let The Dogs Out) “Who let the B out? buh, buh buh buh? Who let the E out? Eh, eh eh eh” He’s now able to sound out three-letter words because they did such a good job on letter sounds. They also taught them all how to write their names (they sign in every day) and the older kids are starting to do more writing in the second half of the year. So while it’s play-based, they probably only have about an hour of “free play” in their 2.5 hour day. There is circle time and small group time for a little more structure. PreK–If done right is worth it. As a teacher, I mentally place my entering K students into four groups. 4. And those who did not attend BUT mom, dad, or someone “worked” with them. The differences in readiness and knowledge are huge. After 15 years of teaching, a good PreK edges out the other three categories. Socially and academically they are ready for the realities of CPS K classrooms (testing, etc) and I would imagine other K classrooms as well. @westside teacher: very interesting! So what skills or readiness do the more prepared kids have? Pre-reading? They know letters and numbers and counting? Colors? Etc? That seems like a question that parents of young kids want to know — what does my kid need to know to best succeed in kindergarten? I am not discounting the staying home child with the motivated parent route, but while these children tend to be close to the students who attended a good Pre-K some gaps are missed because mom or dad are too close to the child. Speech is a perfect example, many parents are surprised to hear their child has a slight speech issue because they understand everything the child says and it seems normal, whereas others may not. Another example is a a parent of course you are excited (and you should be) when your child can count to 20, but the ideal may be counting to 50, etc. these are some examples. as a parent the objectivity is missing. :)- Keep working with the little ones, but seek out a Pre-K, if possible. CPSO- The list of readiness skills (social, academic, and emotion) is so long. Very interesting advice! I always envision the ones who do it at home as being fairly ambitious but you’re right – with no point of comparison, how do you know? @Westside, we experienced that with the speech thing this year. They say my 3-year-old’s speech is still within the normal range for his age, but they are keeping an eye out to see if some of the common mistakes he’s making will resolve themselves or if he’ll need some help next year. It’s always good to have information. Parents tend to focus on rhyming, developing listening skills, appreciation for literature, oral counting, which are all valuable but in 2013 more is needed. Back 12 years ago, there was no public pre-K in Chicago except for very limited programs for low-income applicants, so we went private at a play-based school. They covered numbers and letters and even had Spanish one or two hours a week, but never did worksheets as far as I know. Really the main benefit for our child was learning to be in a classroom, interacting with other children her age, and getting to know her teachers. I personally think that every situation can work well, including full time daycare/preschool, only a few hours a week in a preschool setting, or even no pre-K but plenty of positive attention from an active, loving caregiver. My daughter currently attends CPS TB Pre-K. This is her first year. We chose this route because we wanted a mix of structure of real classroom learning and some play during the day. She was in daycare before CPS pre-K and it was play-based and very little academics, which was very disappointing. We were biding our time to pull her out when she turned 3! I am very satisfied thus far with CPS TB pre-K. What does sour me though is that my child has no chance of attending this school for K-8 since we don’t live in the neighborhood (mind you we stay about 3-4 miles from the school). But when it’s all said and done, we would have spent 22K for CPS TB pre-K, not including all the donations we make for special projects in the classroom, supplies and fundraisers to this school. The elementary school in my neighborhood is on the list of 100+ schools under consideration for closing and has been on probation for the last 4 or 5 years. Lastly, I wanted my child to be prepared for the Selective Enrollment process. We’ve been working vigorously with her and now tackling reading. I have no clue how or what to prepare her for! @#7, I had no knowledge of these changes. Good to know. I’ll probably take a lot of flak for my thoughts on pre-K. I’m not a big believer in preschool. I had just had my second child when my first was entering preK. I enrolled in an expensive prek. But w/in a week I knew it wasn’t for us. It was so formal, rigid ~ I thought to myself~’this is 3yr olds’. I cut my losses and enrolled in Chicago Park District for 1 1/2 hrs 2 days a week. It was totally play based, what I had wanted~socializing (more than just my mom’s group), playing, learning, listening to authority, learning how to line up and raise one’s hand. My child was already reading by preK, and loved all the math they did and worksheets. Also there was an art program that followed the pre school~there was a 1/2 hour in between where they gave the kids snacks and juice. The thing was~if we made it to pre school, ok, if we didn’t I didn’t care. I found that to be the most important thing was that my kids were w/me and learning our ways. We were visiting my parents so often and I found that it was more important than anything~ my kids spend time w/their grandparents. My dad died right b4 my 1st went into 2nd grade and my youngest was going into grade K. They spent a lot of time w/my dad and my dad cherished those days. I also knew that this would be the last time I would be able to make the choice of when my kids would go to school. My kids hardly missed preK bc they loved it, but some days were just BluesClues jammies days! My child could have gone to an RGC, but we moved into this area for our neighborhood school and went there. Turned out to be a fantastic school for us and in 6th grade my child was accepted into an academic center. I did the same preK for my second child~my 2nd still gets birthday cards from his preK teachers. A good Pre-K doesn’t not have to cost X amount of dollars, be full day,or even held five days a week. A good Pre-K prepares students for K. Period. Parents can investigate good Pre-K’s by asking K teachers what do kids need to know and be able to do? Talk to the teachers of the Pre-K program, do they have a clue? Is it focused? Is there a healthy mix of play, fun, and learning? 9. Westside teacher ~I just want to say that when my child started grade K, the teacher came out one morning (yes, I only believe in 1/2 day grade K) and wanted to let me know she thought my child was smart. She was interested to know what preK I enrolled my child thinking that I was going to say ‘montessori’ bc so many ppl around here go to montessori schools. She was literally shocked when I said ‘Chicago Park District’ ~that was a hidden gem for us! @19 Lynn, the changes may only affect the half-day Pre-K for all programs. I’m not sure of the effect on the tuiton-based programs. Check with your teachers, they probably know if your school will be affected. My school’s PreK put in their application (to keep the PreK program) a proposal for a sliding scale fee for what used to be a free program. Apparently, school’s were told that doing so would increase their odds of keeping PreK. CPS says end of March, but, you know how that goes. I sent both my kids to CPS preschool for all. If I had to do it over, I would not have sent them at all. Or I would have done a private program just a few days a week if we could have afforded it. Honestly, I was overwhelmed being a sahm with two toddlers and a teacher husband who was gone 60-70 hours a week. Sending them to prek was really about me saving my sanity and not a whole lot more. My kids had 4 prek teachers between the two of them, and while two were really good, two were not. But they didn’t learn anything academically at school that they hadn’t been taught at home. I do think my current students benefit from preK, for the language exposure and because there is sometimes not a lot going on at home that needs to be. If kindergarten was half-day, I’d have probably kept both mine in park district. My kids went through the TBPK in CPS program when it was just starting (my kids are only a year apart in school so they attended the program in its first and second year). The school at the time was considered “risky” so people were slow to sign up and therefore it had a phenomenal student-teacher ratio. That was most important for my older son, who had developmental delays. He learned/progressed more in his first six weeks there than he had in his entire first year of pre-school in a special ed classroom at a different CPS school. It was truly astonishing and I will forever be grateful for the teachers and aides who kindly and lovingly figured out his atypical learning style and gave him exactly what he needed. The following year they were equally attentive to my other son. (By that time they had enough kids to open a second classroom so my kids were in separate classes.) And I didn’t keep them there all day, they only attended in the mornings, for about 4-5 hours. I think the most important thing my kids gained from the program was a deep love of learning and of school. They woke up every day excited to go to school and that attitude continues to this day (they’re both in middle school now). I also think the socialization was important for them, and it would have been a lot harder to find peers for them to interact with on a regular basis had I tried to teach them on my own. Which, by the way, I’ve realized I could not. My kids just respond to teachers in a much different way than they do to me and whenever I try to put on a “teacher mom” hat it never works very well. As Hillary Clinton said, “It takes a village,” which I believe is especially true for educating our little (and not-so-little) ones with special needs. As for what the kids did, none of it felt like work. It involved reading and playing and outdoor/physical movement time and learning all kinds of concepts in creative and fun ways. No worksheets or anything that felt too “academic.” As for “results,” my younger son was the first to be reading independently in his kindergarten class. And my older son is now receiving very minimal special ed support and doing amazingly well after some very worrisome early years. …oops, hit “post” too soon. We just happened upon a situation that worked perfectly for us. We also went through some trial and error with my older son, with his first year of pre-school in a special ed setting. I’d say trust your gut and don’t be afraid to change the situation if it doesn’t feel right. We needed preK, because I’m not a homeschooler at heart. If I had to homeschool, I would figure it out, but it would not be my first choice. Don’t get me wrong; I work with my daughter at home, but her preschool teachers have taught me what my daughter should know and is capable of doing. At her preschool, it’s not just about numbers and letters. It’s also learning how to set a table, eating family-style, solving problems with your peers, learning about different cultures… Her preschool also provides hearing, vision and other tests every year. Would I have thought to do all of those things? Maybe, but, like I said, I’m not a homeschooler at heart. When looking at a preK program, ask how they determine what a child should be learning and how they assess or record progress. Also, make sure that there is plenty of play time. After all, they are little kids. I’m very frustrated about the preschool situation in Chicago right now. Our neighborhood school advertises that they have 3 and 4 year old pre-k but what they really mean is they offer KINDERGARTEN and if there are extra slots then they offer them to 4 year olds, and if there are any remaining slots they offer them to 3 year olds, but there never are. So why bother advertising that you have something when you don’t? I’m really hoping there will be a space for our 4yo this coming fall, because there is no way we can pay for prek or day care, and we make just barely too much to qualify for head start (which is funny, because we have problems paying for RENT). We were very happy with our private preschool. It was play-based and the teachers/founders never claimed to “teach” them anything. There were absolutely no worksheets, but there were projects and crafts every day. Yet, they both learned a great deal and were well-prepared for kindergarten. I think the key was that a lot of the kids did not stay as long as ours did. Many chose to go to more “academically minded” preschools for their year before kindergarten. (The school takes kids as young as 2 1/2) Ours were among the oldest. So, the teachers treated them differently and gave them a lot of verbal interaction. My kids were also “king” of the hill at school, and I think it gave them confidence going into kindergarten. If CPS cannot do it all (given budget constraints), I think CPS should focus on low-income kids (offering free preK) now that they are offering full-day kindergarten to everyone. Good private options abound. And I personally think every child should have some kind of preK experience. It does not have to be every day if you have the luxury of not having to work. Childcare (9-5 parents) determined our pre-K plans. For age 2, chose a solid Montessori program with before- and after-care and continued there through K. Please with it all, as much as possible. Long time lurker here. I haven’t need to say much because we start kindergarten in the fall at our CPS neighborhood school. But it didn’t offer preschool at all, either TBK or PFA, so I did have to do the research to find preschool. We aren’t religious and weren’t comfortable with any preschool that taught religion as part of the curriculum, so that knocked out about 90% of the schools right there. We didn’t need full-day, nor could afford Montessori, so it was pretty much out of the picture. I also have some minor hesitations about the philosophy and set-up, but if I need a full-day option for my baby in the future, I will consider it. So, in the end, I applied at three play-based cooperatives. There is strong research that indicates that kids at this age (perhaps even through 7) learn best through play, so that was the setting I wanted. I have been thrilled, thrilled with the one that we landed at. My 3-year-old was very social, but I loved watching his teachers help him navigate new social situations and conflict. He has taken to ideas and concepts learned at school and run with them in his play and activities at home as well. For example, I would put his planetary knowledge up against any kids from an “academic” preschool! And as a few people have mentioned one benefit to preschool is the referral for special needs. We were referred for speech therapy and they were right. And it has made a huge difference in his ability to communicate with other kids and adults. I don’t think as parents we always see the full picture and we sometimes need someone to help us know what isn’t typical and where we need help. And his school has been very willing to work with meeting a variety developmental needs in the classroom. I could ramble more. I do think that preschool education in the city is a bit of a mess. I’m not opposed to CPS trying to reformulate it in a manner that makes sure that kids who need it most get it, but I worry that Rahm forcing a “race to the top” agenda on preschool. And I worry that will mean standardized testing and worksheets and studying which are just not appropriate for the pre-K set. Unfortunately, the play-based coops have waitlists, but the waitlists do move and people do get into them. They also offer scholarships for those who need it (and the scholarships may be based on situations, not just income). And I think those programs worth checking out and applying to. Can anyone share experience with CPS preschool for a 3 year old with an IEP for speech/autism issues? We are once again crossing our fingers for a CPS spot for our older child this year, but we’re not sure about what that means for our younger child. He’s still in Early Intervention right now as he’s not 3 for a few more weeks, but he is supposed to start a free 5 half day program at our local school then under the IEP they’ll be writing for him. How does it work in CPS? Are you part of a parents of children with autism group in Chicago. They’ll have the poop. Become an expert. 7:30 – 5:30? Why have children? I guess I’m a homeschoolrr at heart,but I think all parents can teach their kids way more than prek and still provide them with socialization skills.It just takes effort,patience ,and some planning.Also,while a teacher or other professional may supposedly see potential problems that a parent cannot,ultimately the parent knows their child better..I recall my pediatrician rolling her eyes arrogantly when she didn’t think my three yr old son knew enough words.This same child goes to an RGC.And with my twins,she quickly jumped to the conclusion that they needed to see a speech therapist.Parents,have faith in yourselves ,not strangers.Each child develops differently. @38 because alot of people have dual incomes and need to work to make ends meet. Early/longer hours are needed for drop off and pick up of chidren. That’s life for most people I know. I know the insanity of testing into CPS RGC or Classical Schools forces people to think that their kids need to read before kindergarten. But, that’s just not developmentally appropriate for most kids. And frankly, I don’t think that any “gifted” program if they have to exist, should start before 3rd grade. Testing while the brains are still rapidly developing is just silly. In regards to why nobody is talking about Pre-K right now, in my specific case it is simply because I am waiting to hear what CPS preschool will look like in the future. My child would not enter three year old preschool in CPS until the fall of 2014 but I feel that as of right now I don’t even know what that will look like or if any schools near our home will even offer a program that we would be interested in (not looking for full day TBPK) and be able to apply for (we don’t qualify for Head Start and would not be given preference for PFA). It will be interesting to me to see what the sliding scale, fee based program would look like, if that comes to fruition. I completely agree with you @41. I have read many of the posts on this blog over and over. I love the information that I have gained, but it sickens me when people talk about how gifted their 4 and 5 year olds are. Give it a break people. Kids all develop at different rates, especially when they are so young. Eventually most kids seem to level out. @ 39 “while a teacher or other professional may supposedly see potential problems that a parent cannot,ultimately the parent knows their child better.” I kindly disagree. Teachers have been trained in child development and know educational milestones and benchmarks, etc. As a parent I trust my gut but I would be a fool also not to listen to the opinion of the professionals as well. Here’s what I’ll say. We all think we know a lot about a lot, until something comes along and puts us in our place. I used to think that parents with what appeared to be 6 year olds in strollers were just lazy. Cut to my 99th percentile kid who’s too big for a lot of the strollers on the market at 2 years old. I used to think that gifted was a word parents just tossed around as some kind of bragging right. Cut to me discovering my own child is actually highly gifted, and my desperate attempts to get her the help she really needs in school because of it, and doesn’t get because everyone else thinks gifted is just a made up term that parents toss around as a bragging right. If you don’t have to put your child in full-day daycare to make ends meet, great for you. If you know enough about child development and early childhood education to be able to say with absolute certainty that your child is doing very well and meeting all the targets they should be, then great for you. Meanwhile, the rest of us aren’t perfect but we’re trying our hardest. @Jen: I should clarify that I put “gifted” in quotes, not to question whether there are truly gifted kids, but rather to question CPS’ definition of gifted education. The regional gifted programs aren’t actually gifted education; they are an accelerated curriculum. @35 Jen, that was my son’s diagnosis and as I’ve mentioned here if took some trial and error to arrive at the right ore-school setting. I observed numerous programs in both CPS and the suburbs. We ended up staying in CPS because there are more options and opportunities to move around if necessary. Get to know the case manager for your child. Ours was a gem and connected us with people downtown who were able to help in our quest to find the right school. Stay vigilant. We encountered mostly great people throughout the system but the few bad apples were really bad. Don’t be afraid to step up so that your child does not have to settle for less than yhd best placement for him/her. Wish i could be more specific regarding specific schools but so much has changed in the 10 years since we were in thd same boat! Best of luck to you. #42 (and others) when I said “no one is talking about PreK!” I meant media and blogs not parents. I know lots of parents who are wondering – and calling me – to explain what’s going on with CPS preschool. They are all hearing different things from their schools and it is becoming even more confusing than it already was. This re-application process for existing PFA programs (and everyone else) is kind of a big deal! I’m just wondering if CPS is keeping it on the down-low on purpose. #38 Just because it’s 7:30-5:30 doesn’t mean the kids stay there the entire time, those are just the hours of operation. Duh. One daughter went through tuition based pre-school and we thought it was great, other than the fact she hated the long, mandatory nap. The tuition based pre-school was a bigger deal when it could be used as a “back door” to get into a desirable school. We have two more going in fall, and are excited and thrilled that they get acclimated with the building, the environment, and the culutre of the school that they’ll be attending for the next 9 years after the’ve finished their pre-school. CSPO – regarding your question in #11. I have been using a list found on another blog to get an idea of what my kids need to know before entering K (71 things). It also provides a list of ways to prepare your kids for K (33 things). My kids are both in CPS preschool for all at the moment. They are in the same school and grade, but in different classrooms. I find there to be a big difference between the classrooms, when it comes to the cirriculum. My son’s classroom focuses more on worksheets and small-group learning/playing. My daughters class is definitley more play-based. I have not yet decided what we will do next year, as we are waiting to hear news on what CPS plans to do with the preschool for all program at their school (we attend our neighborhood school). It has been nice to get them both into a part-time preK together, without the high cost of some of the private prek’s, that we otherwise would not be able to afford. However, we try to supplement their learning at home as much as possible. Question: Is a preK student in a CPS school eligible for speech therapy at the school? My son has some very clear speech issues, and I’m wondering if there are any resources at school for him, even if he’s not in K-8 yet…anyone know??? @54 Jen–Yes, speech therapy is available for preK kids. Both of my kids had speech therapy at their neighborhood school before they were enrolled at CPS (one child, in fact, was enrolled in a private, half-day preschool at the time; the other began after he aged out of Early Intervention). I believe, in each case, we just called our neighborhood school and made an appointment. With my older child, we called at her preschool teacher’s recommendation; they evaluated her and began therapy. With my younger child, we just went over with his evaluations from Early Intervention. As your son is already in a CPS preK, I would share your concerns, if you haven’t already, with his teacher and ask what the procedure is for requesting an evaluation and/or services. As he’s already enrolled in a CPS preK, they should be able to offer him services there. @53 Jen–Just connected this with your earlier posts. A better answer to your question, I think, would be, yes, he can recieve speech services through CPS once he ages out of Early Intevention whether he attends the 5 day half day preschool program at the local school or not. Either way Early Intervention can help you with the transition. Sounds like you’re asking all the right questions and doing a great job of trying to sort this out for your son. LTAC Mom – thanks for the info on speech therapy. I will definitely request an evaulation at his school. Our kids were very happy here. @53 Jen, Yes I would second what LTAC mom says. Thankfully CPS seems to realize that the sooner you intervene with issues like these, the better the outcomes. Although I have heard that teachers/schools are less likely to recommend evaluations these days. I’m not sure why or even if that’s true or just hearsay…just be sure to stand your ground and insist that he needs an evaluation if they seem hesitant. @52, our TBPK solved the “reluctant napper” problem by dividing the kids into two classrooms — one with cots and lights out for nappers and one with lights on for quiet activity during that time period. My best advise to parents looking into Pre-K options would be to look at both private and public programs and go on a few tours. Only you will know what the best fit will be for your child but seeing the different types of programs and schools out there is helpful. Our son attended part-time, free Pre-K through CPS and he had a great experience. His teacher was amazing. It was the last time his class size was under 20! We liked that the program tapped into the elementary school’s resources- the kids had full access to the library, reading buddies in the upper grades, participated in school assemblies, concerts, etc. It was a lot of fun and my son thrived in this “bigger campus” environment. If I had to do it all over again, I would definately choose the same program because it was the right fit for our son. If you think you want to go public school route K-12, I highly recommend CPS pre K, be it Head Start , PreK For all or tuition-based. In my boys’ class, the goal was to have the children knowing/counting numbers 1-25, recognizing and spelling their names, knowing colors and recc./knowing letter sounds. They also learned social skills, like listening and following directions, which you need in K. When my youngest started first grade at a different neighborhood school, his biggest complaint was he’d already done all the work they were doing in preschool. If your neighborhood has a blog, you can probably get wonderful feedback RE what parents think of local schools. Sometimes the neighborhood schools are much better than we realize. Need an evaluation? Make sure to make it in writing. See wrightslaw.com for help. Pre-K from 7:30 a.m. to 6 p.m. is great for 9-5 working parents. That’s what we needed. My kids went to the park district program. They really didn’t learn academics, but they learned the following rules and social skill areas there. I don’t think I could have taught my kids some of the stuff on that list before K, one of them certainly never sat down long enough to draw or write anything or look at the pages of the books I read. @64 – Haha. Yes, that list is quite extensive. I use it primarily as a tool, but not a requirement. It gives me ideas for practicing preK skills at home more than anything else. The article below really sums it preschool to me. To paraphrase, if you’re a parent that cares enough to read and contribute to this website, your child will be fine reagrdless of preschool. My three children all attended the local preschool that happened to be at a church 2 blocks from my house. They played, they laughed, they learned. It was half a day and it was perfect for them. No Montesorri. No 71 things to obsess about before kidergarten. Just kids interacting with kids with teachers that care. The payoff has been the two oldest are at Northside Prep. (One a sophomore and one an incoming freshman next fall.) Third one is too young to know yet. My point is that with caring parents that read to their child and gives them an environment to learn, they will thrive. You’ve got enough to worry about when it comes to high school and college. Don’t sweat pre-k. If it feels right, then it’s the right choice. This post really got me thinking. I have enjoyed reading everyone’s comments. We have 4 children. The oldest is currently awaiting AC results and the youngest starts K in August. The oldest attended a magnet for a year but we were not happy there so we switched to our neighborhood school. This is the filter through which my comments come. I think pre-K was an important piece of the development of my children, but it was definitely not a gotta-go-to-pre-K-or-they’ll-NEVER-EVER-get-into-a-gifted/classical-program-or-a-good-university piece. Learning to be in a school setting at the age of 4 was the goal we had, and that goal was well achieved. We sent our first three to pre-K at the park district here in Chicago and had a good experience there. They worked on all the basics that are taught at home by some parents but perhaps not by others — things like days of the week, months of the year, seasons, colors, etc. That was nothing new for my children but the first experience for others. More important than that, though, was that they learned classroom responsibility — being helpers for changing the calendar or holding the flag, etc. They learned the Pledge of Allegiance and how to be respectful during that portion of the day. They learned how to push in their chairs and maintain the classroom for all the students…how to think of their community and put it into practice in a small, controlled setting. They learned the “formal setting” of school that wasn’t part of learning at home. At 2-1/2 hours for 3 days a week, this was exactly what we wanted and was a good fit for us, since my husband works outside the home and I work from home and so am available for a schedule like this. Not all parents have that type of a schedule available to them. We enjoy being the first teachers that our children have but also know our limitations there. I think that parents must choose what works best for them and their families, whether faith-based, philosophy-based, or other. There is no “one size fits all”….we are all different. I think my first three would have been fine without pre-K; that experience is just another piece in the puzzle that makes them who they are (and we’ve kept some great friends from that time in their lives). My experience, however, doesn’t work for all. Given our experience in CPS since K, I believe now even more firmly than I did 7 years ago that there’s nothing wrong with waiting for organized, long school days until they get to first grade (I’m dreading the thought of our half-day K going to full day….I’m one who favors half-day K), especially with as much focus on testing as there is now. Again, good for me but perhaps not for others. CPS full-day Pre-K for my child was a refreshing introduction into world cultures, second language, and a fun interactive social structure that would have been very hard for me to provide on my own. Even though I’m home and highly educated my child received a snapshot of the world at his 2 years of Pre-K that I couldn’t give him. At Pre-K we paid half the cost and the state paid the other half for the day. There were wealthy families and not so wealthy families from all over the world. We met and made friends with families from India, China, Columbia, Peru, Mexico, Spain, and of course the US. My child got to witness what the expectations of parents from other countries were. He went to houses where there were no TVs so the kids could do math instead, He went to houses where kids did workbooks for fun, He went to houses where parents and kids spoke 3 languages. We also played with families that absolutely needed and deserved their free lunch at school. This early exposure to the reality of world culture hopefully will shape my child’s world view for life. Additionally, from his Pre-K experience, when my son entered K (at another CPS school) he understood the expectations of social cooperation in a large scale setting. Having volunteered a lot in his K classroom I can tell you that you can pick out the kids who went to Pre-K and the ones who didn’t. Pre-K can make a defining difference but like all else it just depends on your child and your circumstance. I have heard similar things from other teachers, but have also been told that within very little time the gap closes. Has this been your experience or do you thing the advantage lasts for the whole school year? This is an interesting discussion. We send our three-year-old to a Montessori preschool (which thankfully is only about 8k a year) and in 6 months he already writing numbers up to 20, sounding out all letters, and spelling simple words, in two languages no less. My child is not a genius as many of the other students in the class are doing similar things. My husband and I have advanced degrees and the luxury of free time, so I am certain we could have taught him these skills (or augmented with other classes), but I am not sure he would take to us as well. He loves the structure of school, he loves seeing his friends work on similar projects, and loves the chance to play with new “toys.” I think so much of the preschool experience is dependent on the child, but for our child preschool is definitely the best option. It’s funny that these same discussions we’re occuring on the high school thread about 2 weeks ago. And I think the answer is the same–it comes down to fit. Just as some parents swear by Montessori and wouldn’t even entertain other options, some parents have a selective enrollment or nothing approach to high school. That’s just crazy to me. Montessori works for @ 70 and that’s great. Local worked for me. CPS works for others. I think we all know someone who was forced to go to a high school or college they didn’t want to, but the parents made them. Either because of siblings, legacy or cost. Those people often regret it their entire lives. I’m not saying junior will hate you because of your preschool pick, but that the pick should be based on your child’s wants and desires, not yours. A language immersion preschool is worth its weight in gold when connected to longer term opportunities to achieve bilingualism. There are too few public and private opportunities such as this in Chicago. A generation of multilingual (and multicultural) students would be an game changer in educational achievement and workforce development. I have a 4th grader and 1st grader in CPS now. The 4th grader spent 2 years pre-school at the local catholic school because for me it was cheaper than paying for a nanny when I had the baby and my husband was always traveling. I didn’t really care if it was academically driven or not, it was a block away! But, he loved it and all the folks were nice. He tested and got into a gifted program. So, how much was the pre-school and how much genetics and the fact that I always read to him, etc? Who knows. 2nd child was is a September baby and we did things really differently. She went twice a week to the CPD kiddy camp thing for 1.5 hours twice a week with her cousin and they both loved it. They actually learned things like sharing, counting, taking turns. Then the following year for the two cousins we did greek play school in the mornings and Pre-school for All in the afternoon for free at the neighborhood school. It was ok but it was obvious that it was really geared for socializing the children of new immigrants (being such a child myself I think it’s a good thing) which my kid didn’t need and I think she was bored a great deal. The 3rd year of preschool for this child was at Disney’s paid preschool. It was great for her. Academically based and they did Mandarin and Spanish and got a hot afternoon snack. The times were 8am – 6pm. For her it was good as she was a September kid and her cousin with a summer birthday went to K. She also tested off the charts and into the gifted program. Now, for the 3rd kid turning 3 years old in the early summer, I opted to go for Waldorf as it’s play based and calm and doesn’t have sight words pasted all over the walls. Just paintings the kids do and nice happy colors and lots of singing and baking bread. I’m going the opposite direction. The Montessori program freaked me out with all the kids doing “work” and not interacting with each other. Can someone pls clarify , when applying for CPS prek or Park district,are parents stuck with their closest neighborhood school, or can one choose a program in a different zipcode? Is there preference given to those who live within the schools boundaries? #75~our neighborhood schools never had prek, but there is one in our ward and they only take kids in their boundary~not necessarily zip code. The Chicago Park District has very small classes and they fill up w/in minutes of sign up and new kids don’t start in January if you missed the Fall dates bc they take the same kids they had in Fall and most of them stay. @75, for CPS there will be a clearer picture for next year once they announce which schools will continue to have/start to offer Pre-K. Currently you can apply to any CPS preschool, but as SSIrish says, many schools only have space for those within their neighborhood boundaries. And sometimes they only have room for the 4-year-olds and not the 3-year-olds. Park district is a free for all with internet registration, but a good option if you are looking for a low-key environment. And spots do occasionally open up mid-year, but not often. One thing I liked about park district is there is a wide range of time options. Some are five-day, some are three, some are two. Some are 90 mins, some are four hours. It was nice to pick the one that worked well for us. #77~I just wanted to say that I have found the CPS teachers my kids have been instructed by in world language to be very good. We feel very fortunate…I hope this is how many cps parents feel and not just the ppl at my child’s school. I’m not trying to say the teachers were bad, but the level of instruction is so tepid that there is little mastery/fluency in the language, at least compared to what I’ve seen with folks we’ve met who’ve been educated in India, Africa, Europe, Japan, South America. And, BTW, research showed that among US students who study foreign languages, those courses are ranked among their most satisfying. So, US students who persist in language studies are pretty pleased with it. 68. PatientCPSMom and 70. ruthie60607 Thank you for posting. Each of your comments described elements of what I will be looking for in pre-k for my daughter next year. I am especially interested in programs with kids from various socio-economic backgrounds and bilingual programs. Would you mind naming which schools your children attend(ed) so that I may look into them? #83 my child attended Ruben Salazar. It’s a small school across from Walter Payton HS. Not a fancy facility but a dedicated experienced Pre-K staff with a very diverse population. We were in Miss Maria’s class which is the more play based Pre-K room. Also kids from 3-5 are combined together in one class which also was a nice thing for learning and making friends. @74, sorry you had such a bad experience with Montessori. My kids attended Montessori preschool and loved it, although it’s definitely not for everyone. None of it felt like work to them, and they had tons of interaction and group play. It wasn’t the cheapest preschool option but for us, it was that or daycare. As SSI4 pointed out, there’s only one school in the 19th Ward that offers preschool. I had no idea so many CPS schools offered it! I sent my daughter to Southeast Asia Center over on Broadway near Argyle for two reasons 1) she’s a China adoptee and I wanted her around Asian kids and 2) it was cheap. $600 a month 5 years ago for preschool/daycare from 7 a.m. to 6:00 p.m.
We may have been the only family paying full tuition. Most were families receiving a full or partial subsidy from the state. This was a wonderful experience for my daughter. While about half of the kids were Asian, there was a fair amount of diversity in the classroom. They didn’t have a lot of fancy supplies and because of that my DD learned how to be creative–making jewelry from paper, etc. The school was accredited, play-based but also helped the kids with sight words, basic math skills, etc. And yes, my DD got into an SE school. It was actually the teachers at SE Asia Center who urged me to get her tested because they told me how advanced she was. Another plus, they washed the kids’s sheets, blankets and pillowcases every week for no extra charge. Re: foreign language instruction, I’ve found the French instruction at Lincoln to be quite lacking, and a big reason is that logistics don’t allow for a class to be differentiated by ability. The French instruction begins in first grade and continues through eighth, with more hours per week devoted each year. But each school year, when there are inevitably a number of new kids in a homeroom class because they moved into the Lincoln school district, the entire class begin again with numbers, colors, etc. So, I’ll be surprised if my kid even tests out of a single year of high school French in the near future. How much does CPS spend on standardized testing? How is the CHA spending federal subsidies it’s getting for housing units that it’s failed to occupy? What’s happened to the clients of mental health clinics that were closed? Which schools are losing students to urban violence? With journalistic resources increasingly strapped, there’s “a lot of untapped potential” among community groups and activists to get information using the Freedom of Information Act, according to Steve Franklin, president of the Headline Club (and director of the Ethnic News Project at Community Media Workshop). Along with journalists, organizations and individuals challenging cutbacks in education, housing and human services, and those working on violence and criminal justice and many other issues, are among the potential audience for the Headline Club’s FOIA Fest, a series of evening programs taking place this Monday through Wednesday, Franklin said. BGA is also partnering with the Headline Club on its effort to protect and improve reporters’ freedom of information rights, including a clearinghouse for information at FOIAIllinois.org. Tuesday, March 12, 6:45 to 8 p.m., Terry Pastika of the Citizen Advocacy Center will discuss their work providing legal support to efforts to increase civic involvement, including support for FOIA requests. The group offers open government trainings for journalists and citizens. Their guide to filing FOIA requests is here. Also participating Tuesday are Joe Germuska of Northwestern’s Knight Lab and Dan O’Neil of Smart Chicago Collaborative, exploring ways technology can improve access to public records. That event is also at Columbia’s journalism department. Wednesday, March 13, 6 to 8 p.m., features leading investigative journalists — NBC5 producer Katy Smyser, Gary Marx and David Jackson of the Chicago Tribune, and WBEZ’s Robert Wildeboer — offering tips and strategies for prying government records loose. A representative of Attorney General Lisa Madigan’s office will also speak. Wednesday’s program takes place at WBEZ’s community room on Navy Pier. That’s what we found in our schools. It seems Montessori is done differently at different schools. We believed our program was very “true” to the method. Doesn’t the Barbara Vick Early Childhood Center in Mt. Greenwood serve the serve the far southside? CPS pre-K, 1/2 day? @87 HS Obsessed-have you heard if the language situation is any better at LaSalle? Since they are a magnet, they have fewer new students coming in and so don’t have to lower the level of instruction for new comers, maybe? Or no? I’m with local — in general the world language instruction at CPS is pretty light at schools that have such a program. Our school has Spanish once a week (this year only half the school has it because a teacher left and no replacement has stayed put). You can’t really learn much that way. I assume the language-based schools are different, but I don’t know for sure. I believe they have some non-SPED spots, but those tend to go to siblings of Barbara Vick students admitted into the SPED program, from what I’ve heard. It’s been a fantastic resource for some families I’ve known, BTW. I agree with what others have been saying about World Language in elem schools. You simply can’t get much with the limited time that can be devoted to it on a weekly basis. I do believe that LaSalle is a bit better because those kids get more world language than other elem schools. In retrospect- while parents think it is great I would almost rather the kids had a base in Latin so they could have a leg up on vocab and any romance language they choose to study in high school. Some kids in our area tested out in French and Spanish at HS. But our languages classes are set up that by the time students are in 7th grade they are having either French or Spanish everyday. I think in grade k and 1st it’s 1x a week then it builds to 2x a week and then I think 4-6th grade is 3x a week. Ooo. Ditto on the Latin here! @92 IBObsessed – Yes, I know LaSalle is better because as a magnet, they have very few new kids come in each year. I’m not sure what’s done for the few kids who do transfer in, though. I remember when the utter lack of French learning sank in: My daughter had had 5-6 years of it already when one day she was leaving the house and yelled back to me a cheery, “Bonjour!” She swears she was joking but I KNOW she wasn’t. And I believe she was getting mostly As! Hopefully it will be a fresh start in high school. Another good teaching method of our languages at our school is that by 7th grade the class is taught in French or Spanish and the kids can only ask questions in French and Spanish~so by the time they are in HS they could go into French 2 or Honors French 1. SoxSideIrish- Which school has this type of language instruction? Two of my children attended PFA, each for two years, and were very well-prepared for K. My oldest attended an RC preschool program for a year before attending K at CPS and he struggled in different ways with the expectations of work in K. They are all different kids with different learning styles and interests, so it’s hard to make a comparison as to whether it is “worth” it. But overall, I have been pleased with the PFA experience and would recommend it, although it obviously does have limitations for parents with childcare constraints. I met with Adrienne Stewart a few months ago and she reviewed the certification/grant process, PFA funding, and admissions with our group. I’ll see if i can type up my notes. The research very much supports the importance of early childhood education, especially in at-risk groups. And I’d like to think that my kids benefitted and helped their peers, in turn, in the experience of a mixed ability classroom. #100~thatssomedda~The neighborhood schools in Beverly/MorganPark~some schools teach Spanish and some teach French. Ditto what SSI4 says @102. My kids are alternately excited and terrified for 7th grade, when they have to speak nothing but French in homeroom! Almost all the neighborhood schools here are IB schools, so that may make a difference. Our daughter attended CPS PreK for a year (after a year of private pay daycare/preschool). Personally, I did it to help start the process of relieving the separation anxiety that many kids feel upon entering kindergarten. Additionally, I think the most important part of PreK is the socialization skills that are learned. As an only child, my kid pretty much got what she wanted when she wanted it cause there was no other child to compete with in the home. If she wanted attention, she got it. If she wanted a snack, she got it. So throwing her in to a group of 20+ was going to be somewhat of a culture shock for her. Learning letters, numbers, colors, etc was all a perk. Sometimes I think we start way too young with some of those skills and concepts anyway, but that’s just my opinion. But overall, I thought our experience was amazing! I got exactly what I wanted out of the program and on the first day of kindergarten (full day), she happily skipped away from me and went in to the classroom…and she still hasn’t looked back 6 years later!! Agreed but at the same time I remember very clearly the emphasis on sight words in kindergarten (not to mention the ton of homework they got!). In the second half of the year the teachers seemed frantic that many the kids weren’t where they needed to be and constantly reminded us to drill them on sight words at home. And they even pulled a few kids (all boys incidentally) for after-school help a couple days a week. I remember feeling relieved that my son wasn’t identified as one needing help, while feeling distressed for the kids who were, wondering if they were already developing feelings of inadequacy. I thought it was sad. I’m sure all schools are different within CPS, but ours set a tone very early that stressed the importance of hard work/academic achievement. I’d guess any kids who hadn’t had any pre-school experience might be feeling left behind from Day 1. Is there any good evidence that getting kids reading early helps them throughout their academic careers? (As opposed to the preliteracy stuff, development of social skills, exposure to science and the world around them, encouraging curiosity, other forms of cognitive development, getting used to school routines, etc..) Our play-based preschool teacher is adamant that some kids are ready to read early (say at 4), while others aren’t until 7 or 8. I’ve got plenty of examples in my own family of later readers who nonetheless went on to do just fine in their subsequent academic careers. I think my kids are learning tons in their prek classes and my 5 year old is just on the cusp of reading – has a few sight words and early phonics, but I don’t see the need to rush it. When I see kids sitting in kindergarten on school tours spending hours drilling phonics and sight words I can’t help but wonder if that kills any joy that’s in reading. That’s a big deal for me and my husband – we both LOVE to read and are trying to pass that along to our kids for all kinds of reasons. Disclaimer – I didn’t learn to read until well past 6, so maybe I’m biased! But once I did I rapidly moved into complicated chapter books and never had a problem past that point. Sample size of one, admittedly. Regarding learning to read earlier, I think it may help a little bit as far as the brain’s development. From a scientific perspective, every time our brains “learn” a new skill, especially children, numerous synapses are formed, thereby enabling the brain to make more connections. It serves almost like a mental workout, or, say a growing tree that spreads its roots. Thus, learning a foreign language, learning to read, to talk, play an instrument, etc. all help in making these synapses.The early exposure to learning new skills can only help the young, rapidly growing brain. CPSO~can you tell me if your son’s school is taught world language like #96 & #99. I’m interested bc I recently learned that not all RGC teach language like this and that some only have language 1x a week. @uptownmama: As a reading teacher/tutor, I am often trying to ease parents’ fears about reading readiness and achievement. Reading skills, like most early cognitive skills, are controlled by a variety of developmental factors. Is it “good” to be an early reader? Sure. It can expose kids to more and more varied information, can give them a sense of autonomy as it allows them to explore independently, and can certainly help parents communicate expectations in more that just the (loud) verbal format that we (I) sometimes have to resort to. ; ) But in the end I think late bloomers do just fine as long as they have exposure to a variety of activities and ideas, which they draw on as they begin to decode words later on and eventually move into comprehension. It is schools and parents who seem to have the real problem with “late” readers. @110 SoxSide, at Coonley the RGC and neighborhood kids have Spanish. My Pre-K kids have it twice a week and I think the older kids have it more frequently. I don’t know how often though or if it differs between neighborhood and RGC. Oh, and I have no idea if its immersion like the above posters. I suspect not tho, because the RGC is only up to grade 4 at Coonley and I don’t think the neighborhood program had Spanish until the RGC came along. When deciding upon my oldest son’s PK, I toured exactly one school. Not because I wasn’t invested in the process; I just knew what I wanted for him and 2-1/2 years later, I can confidentally say that it’s been a great place for him and I’ll likely send my youngest there when he turns 3. It has the perfect mix of academics and playtime, wonderful teachers, and an inexpensive afterschool program for when I need it as a part-time working mom. In my opinion, PK should be more than daycare with opportunities for early reading/math skills, socialization and personal growth. I respectfully disagree with others, though, who expect PK to prepare their child for classical/RGC testing. Your child’s abilities to learn at an advanced or gifted level shouldn’t be forced and as always, education should begin at home. I’ve also capitalized on museum and zoo memberships to make learning fun. However, if we’re not happy with our oldest’s CPS kindergarten experience (whether it be our neighborhood school, magnet, classical or RGC — we’ll find out next week! ), there’s a very good chance that we’ll take a closer look at private PKs that go through 8th grade and beyond… even though we really don’t want to spend the money. My satisfaction and comfort level with his current school is so high that I oftentimes find myself wishing they offered programs past PK. Ahhh, questions about language programs! Unfortunately in CPS there is only one immersion language program (Inter-American) which is bilingual Spanish/English. They do a quarter in one language and switch for the next quarter to the other language. In my mind the immersion route is the gold standard and possibly the only way to go if your goal is fluency. Unfortunately, the school only takes 25 native English speakers and 25 native Spanish speakers at their entry point (or at least that was the number 2 years ago when I toured). I believe it is the only magnet school besides the 3 Montessori schools that guarantees your child kindergarten admission if they get into the Pre-K program. The language thing was a BIG motivator for my family’s choice of school. Child in question is currently attending a private school with a language immersion program and will stay there as long as both parents are gainfully employed. I’m not saying which one but it pretty much narrows it down since there are really only 3 privates in the city that have immersion language programs :). Would I rather my school be tax supported and not require additional tuition payments? Absolutely. But at the same time I absolutely believe the money is worth it. My 4 year old’s second language acquisition has been incredible this year and I’m a big believer in the socialization aspect of preschool. And I absolutely believe the public education should be investing much more in early childhood education for at-risk students. I think head start my actually start too late for some of those kiddos. And the PFA programs are all having to reapply for their funding. I recently talked to one of the principals in the 46th ward about it and it sounded like the application process was extremely long and that it was going to be really hard to get approval for any of the programs. She didn’t expect to know either way until sometime this spring. The TBPK programs do not have to go through that application process since their funding is from a different “bucket” so to speak. 116. BuenaParkMom Thank you for your information. What are the 3 private immersion programs for Spanish in the City? I know of the west loop intercultural Montessori and that’s it. Thanks! The three private immersion schools that I know of are not all for Spanish. They are in no particular order. 1. Intercultural Montessori for Japanese, Mandarin, or Spanish. Goes from PreK-6th grade, they do half day in the target foreign language and half day in English. 2. Lycee Francais Chicago (The French International School) Goes from PreK -12th grade, accepts native English speaking students for preschool and for their IB program in high school at 9th grade. 3. German School of Chicago – German language immersion with Montessori curriculum. They currently have PreK through 3rd grade, but add a grade every year and will eventually have an IB high school program. I might have opened the theme of language instruction in CPS, as a world language is a graduation req. I appreciate all the info shared. Will have to address that req at the next IEP meeting. Hey, Chicago Mama, any news on the Disney II HS? It’s my understanding that LaSalle uses Rosetta Stone. So what achievements they have there may be due to that as much as having instruction in the classroom. Only so much can ever be accomplished in a school that is not dual language. Kids have to log quite a few hours on Rosetta Stone. I think it’s awesome. But I also think all schools should have access to that type of program — meaning RS. Does anyone have any friends who attend Lincoln elementary in Oak Park? I hear they have a dual language program. I’d be curious to hear about that. My oldest child spent her pre-K year at Nettelhorst TBPK and I had no idea how wonderful pre-school could be. Ms. Zio raised my standard of pre-k to a blissful height. That year of school is how I remember my own kindergarten being (a very very long time ago), as a social, nurturing envirnonment where you learn to interact with peers and love school. In kindergarten today, the kids hit the ground running and teachers don’t have time to deal with socialization and other fundamental skills while their professional futures hinge on whether the kids can read, add,etc. My youngest is starting her first of two years in TBPK this fall and I write the check for her tuition with pleasure. @123 – we had a similar experience with TBPK, but at Ravenswood. My son was able to come out of his shell, make friends, and solve his own problems in a nurturing environment. He didn’t learn how to read, but I think the emphasis on positive discipline and problem solving was much more beneficial for him going into kindergarten. And now my second child is there, with a different teacher who does yoga with the class. The other thing I love about TBPK is that the kids get to have art, music, drama, and P.E. with the regular teachers, so they have the experience of moving around the school. I believe I posted back in October, or maybe earlier that big changes were expected in preschool for next year. I also explained that the application process was changing. I can assure you that nobody in the field has any clue what is happening. I am saying this because our school gets calls several times a day inquiring about the process and when we say we have no further information some callers have become quite rude. Believe me schools would like to know what the status of their program is for next year! As for preschool in general, several of the preschool and early childhood programs in CPS are the only developmentally appropritate programs left where children are able to learn through play. I’ve always thought that preschool and kindergarten need to be an appropriate blend of socialization and academic skills. Preschool needs to concentrate on socialization activities with a small amount of academics. Kindergarten STILL needs socialization and small motor skill practice like learning how to use scissors properly and using glue without emptying out the whole bottle in one project. Of course, more academics are important, but not at the cost of removing play activities. Children can learn a lot through play. Before they leave kindergarten, they should know all their letters and letter sounds. They can even know a few basic sight words and simple addition and subtraction. Once that is solid, first grade can really move forward quickly. I spend way too much time on things that could be taught in kindergarten, but because there is such a push on academics, those other important things (sharing, problem solving through play (blocks), etc.) get pushed to the side. I hope by going to full day next year, we don’t lose what little interaction between students is happening now. Since teachers must level the learning for all students, no one will suffer. Teachers can still provide challenging activities for those ready for it. Some students are just not ready at 5 years old to learn nouns, verbs, and adjectives! I stand by my Pre-K investment! We sent both kids to St. Matthias and both are now in RGC’s (and admittedly as much as we like our CPS schools, I still get homesick for St. Matthias). I strongly believe that individualization needs to start in Pre-K. I cast a huge net when we were looking at preschools, and St. Matthias was the only place I found that I felt really understood the importance of individualization from a young age. First of all, having kids with fall birthdays, I can tell you that the age difference is SUCH a big deal when kids are young. And I was shocked by how many preschools are just dismissive of differences in maturity levels and ability. There are kids who are in Pre-K 4 that can read fluently up to a 5th grade level (like my kids did) and there are kids who are still working on sounds and sight words – and both are ok at age 5. But, if your kids are like mine, you want a place that will appreciate those differences, challenge your child appropriately, yet still provide a playful and fun learning environment. Ms. Iezzoni (the Pre-K 4 teacher) just shines in this regard. She also incorporates a lot of theater into the program, which I appreciated. Anyhow, the $5,000 per year we spent for full day Pre-K there was well worth it. I believe my kids would not be in the same place today had we gone elsewhere. LR, I wholeheartedly agree with you. My Son attends a private Pre-K (Links to Learning) and at 5, he is reading at 2nd grade level and his math is there as well. At 4 he was adding with carrying numbers. I did not think it was necessary at first that’s because the tuition is $8500 per year. We had him tested for classical and rgc as well. I’m losing sleep waiting for the results next week. I’ve encouraged parents that can afford Pre-k to go ahead and invest their children early. In our case, I witnessed the return early in him. I just wanted to add one thing to my post…my daughter attended Pre-K at Chase Park for one year before going to full day Pre-K. And honestly, I was very impressed! She was one of the first Pre-K classes there. There weren’t a lot of bells and whistles like Spanish (at the time – this was back in 2006). But, we made great friends there, who we still keep in touch with. And at 3 years of age (but having an October b-day and not really being officially “eligible” for most formal Pre-K’s), I felt like it was exactly what she needed…a chance for my shy girl to start becoming accustomed to being around other kids. Although I loved our private school, I would definitely not ignore the Park District programs. It all depends on what you are looking to get out of it. This is exactly why choices SHOULD be available for all kinds of learners. I don’t think preschool curriculum matters much at all. If you arent combining it with daycare(which raises all of sorts of concerns), I think a kind-hearted, creative teacher who makes the idea of going to school appealing to your child is really the most important factor. That and having it in a really convenient location. My kids did a lot of messy art projects at pre-school, learned how to follow directions and spent a little independent time away from mom. No work sheets, lots of singing. So far two have attended SEHS and one is at a top university. Go a little easier on yourself — and your wallet! I’m a little late to this but I can’t believe how quiet everyone has been about cps pre-k this year, particularly because of our shockingly awful experience. We were aware as we were applying to 4yo TBPK programs that all the pre k programs were up in the air, and they all handle admissions differently. Well cut to January and we received an email from Blaine informing us we had a spot for next year. We were thrilled! The instruction was to come in after march 1st to register. Cut to March and we go to register only to find out that OOPS we should never have received that email and they don’t even know how many classes they will have. Meanwhile, we had turned down offers to Nettelhorst and Newberry. I am just livid. I can’t believe how poorly it was handled. I emailed back twice over the months between January and March and no one ever gave me an indication our spot might be in jeopardy. My son is currently at a daycare/preschool and its fine, so I’m not worried if he has to stay another year. But I can say I am totally turned off by Blaine and I am shocked at the lack of communication. Anyone else experiencing anything like this with cps pre k this year? We opted to send our daughter to an affordable co-op (around $2k/year). It isn’t an option for everyone because school is only a few hours a day and parents are required to help out in the classroom 1-2 days/month. Some parents pulled their kids out for the final year of preschool to put them in full-day or more academically focused programs. In my opinion, my kid has the rest of her life to be in school all day long. Even if we could afford a more costly tuition, I’d like to think that we’d opt not to. I’d rather save it for future costs like college. I’ve also heard great things about park district pre-k, but I do know that the quality varies from park to park AND the teachers don’t have an early childhood ed background. Parents still thinking about part-time preschool for their 2 – 5 year olds might take a look at Families Together Cooperative Nursery School. They have classes for kids who are turning 3 between Sept – Jan, 3YOs and 4YOS in a play-based environment. We have been very happy with Families Together. Our son is in his first year of CPS PFA and we are thrilled with the program. He is learning so much and having fun everyday! We feel so lucky everyday that we got him into such an amazing program. I feel like CPS is sooo hush hush about their PreK programs. They have very limited information available on their website about it and they keep schools at an arms reach when it comes to information about program changes…what I mean is, the schools seem to be just as lost as us parents when it comes to trying to find out what’s going to happen with PreK next year. My two kids attend a PFA program and we LOVE it and the teachers. We truly hope we are able to keep them in the program next year too, as they inche their way closer to Kindergarten.